ACT Climate Change and Sustainability Minister Shane Rattenbury with regional mayors at Mt Panorama with the latest electric vehicle. Photo: Climate Council. 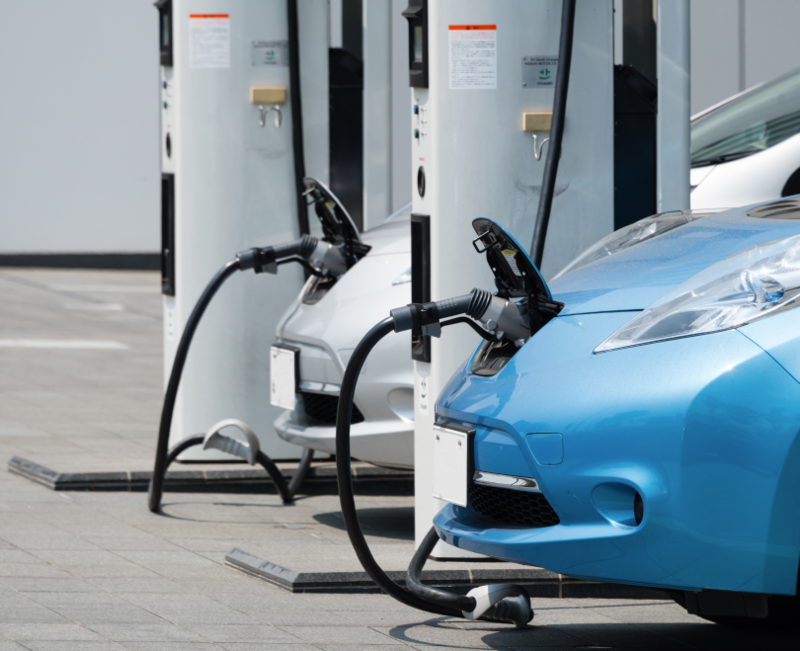 The ACT Government will spend nearly half a million dollars to have 50 electric vehicle charging stations installed at Government sites across the city in 2018-19. Minister for Climate Change and Sustainability Shane Rattenbury announced the Budget funding yesterday (29 May) from an event at Mt Panorama in Bathurst. The Minister said the $456,000 allocation marked a major step towards achieving the ACT’s zero net emissions by 2045 target, and follows the Government’s recently announced Transition to Zero Emissions Vehicles 2018-2012 Action Plan, which included requirements that all new multi-unit and mixed use developments in the ACT have vehicle charge points and all newly leased Government vehicles be emissions free from 2020-21. ACT Minister for Climate Change Shane Rattenbury MLA says the ACT Government’s electric vehicle action plan shows it is getting serious about taking practical steps to reduce transport emissions and move towards zero emissions. In this clip from The Climate Council, Mr Rattenbury outlines the plan to ensure the Territory is ready for electric vehicles, and explains how 50 new charging stations will ensure the Government’s fleet of 500 vehicles is well supported with the right infrastructure. Speaking at the Bathurst E-1000 Cities Power Partnership roundtable, Mr Rattenbury said the move was proof that local jurisdictions were getting the job done when it came to delivering real action on climate change. “With transport expected to create over 60 per cent of the ACT’s emissions by 2020, mostly from private cars use, we’re acting to ensure that the Territory is well-placed to transition towards electric vehicle use – in line with global market trends,” he said. A number of charging stations would also be installed at Government sites across the city in 2018-19. File photo. Mr Rattenbury said the Government had already begun working with private sector partners on the installation project and to support public awareness of electric vehicle use. A spokesperson said the ACT Government has been approached by the Electric Vehicle Council, Hydrogen Mobility Australia, the NRMA and a number of major car manufacturers regarding electric and fuel cell vehicles, and was continuing to meet with them to formalise arrangements. The location of the charging stations would be determined in due course. The spokesperson said there were around 230 battery electric passenger vehicles registered in the ACT, and in 2017 there were 17 battery electric and seven plug-in hybrid vehicles in the ACT Government fleet. “We are anticipating that around 50 new electric vehicles will replace existing conventional Government fleet vehicles in 2019-20, and that around 80 to 150 new electric vehicles will replace conventional fleet vehicles annually from 2021-22 until the entire passenger vehicle fleet has transitioned to zero emissions vehicles (where fit for purpose),” the spokesperson said. Mr Rattenbury said that the ACT was keen to work with other councils within the region to increase EV uptake. “Regional cooperation is key to creating a thriving electric vehicle network, and we’re looking to explore opportunities for charging networks and bulk fleet purchases with other local governments,” he said. 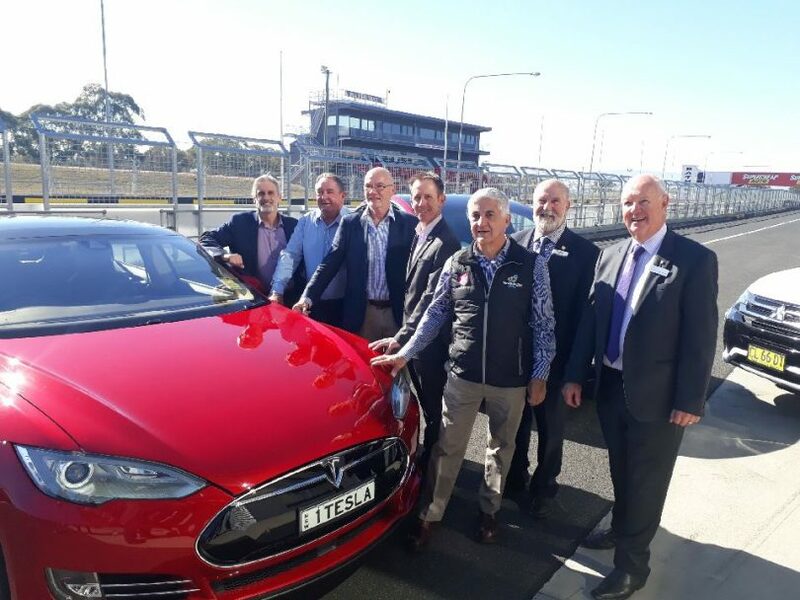 The Climate Council’s Cities Power Partnership brought local governments together from New South Wales, Victoria and the ACT to take the latest electric cars for a spin on the iconic Mt Panorama racetrack, followed by a forum on how local government can supercharge EVs across regional Australia. Councils getting behind the wheel include Bathurst, Orange, Parkes, Cabonne, and Strathbogie, as well as the ACT Government. The Cities Power Partnership is a free national program created by the Climate Council that celebrates and accelerates the pollution reduction and clean energy successes of Australia in towns and cities. Why is all the focus on the Tesla EVs? They only make up a tiny percentage of all EVs currently in production and they are the most expensive. I hope the ACT government isn’t planning on buying only Teslas. 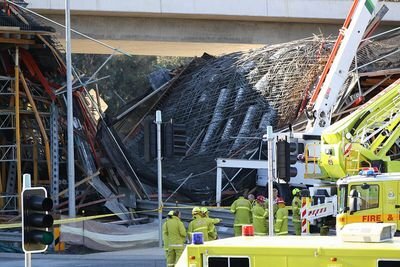 How about some information Mr Rattenbury. I guess they are pre- planning for the electric car revolution which is probably going to start spluttering into being when they cascade the government’s used e-cars into private ownership. this will also create a public awareness that the technology is about. Personally, when they can supply a car for around 50k that will cover Canberra-Melbourne (preferably return) reliably without refuelling I will be buying. While I will probably charge from my own panels most of the time, the certainty of being able to get a quick charge to get home will provide additional confidence. My concern is that the ACT Government and Greens continue to provide renewable Energy incentives, policies and funds that help the rich and ultimately are paid for by the poor in Canberra. The majority of households grants for rooftop SOLAR have gone to the richer suburbs to subsidise their SOLAR power. Poorer households in poorer suburbs can’t afford SOLAR panels but instead they get hit by higher power costs that cover the renewable energy changes. I also guess that the Electric Cars won’t be owned by a construction worker in Charnwood or a nurse in Kambah, they will be owned by a lawyer from Kingston or an accountant from O’Connor. The increased Rates, Increased government charges and new ACT Government policies such as this, are driving up costs for the working poor of Canberra. The problem are that the benefits are going to the select few in the select areas. Why was Mt Panorama chosen as the venue for this EV talkfest? There are no EV chargers at Mt Panorama and in fact, there are only two temporary ones in the nearby city of Bathurst. Seems to me that that the only way to sell these very expensive cars to to highlight their snappy acceleration and Mt Panorama is a place synonymous with that. Will they be wired for choices of renewable generated power or the cheaper fossil one? excellent – I hope they charge quickly though, and there are enough of them, in places that are useful, with the right plugs for different models. Would be good if they also waive or rebate rego for electric vehicles, at least for a while. I hear they already don’t attract stamp duty. The challenge is the range – some only get about 200km in real world, so in a fleet situation if someone has driven it far in the morning, it might not have enough juice for your afternoon trip – unless we’re buying Teslas at 100K+ each. Plug in hybrids might be a better option as a stepping stone – can be fully electric for 50km or so, if going longer can use petrol which makes them more versatile. Only 200kms between charges (and less as the battery ages) won’t work in Australia. For instance it’s 254km between roadhouses in Glendambo & Coober Pedy on the Stuart Highway, a road I drove a few days ago. Then imagine every 200kms having to wait for the car to charge. Impractical. 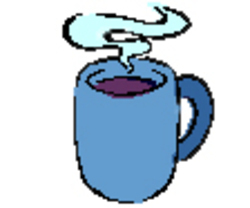 Won’t charge over a 15 minute coffee break. As you said, an electric/petrol car is the way to go at present.